This week I start my work on upcoming performance Body Without Brain by Indonesian choreographer Rianto. 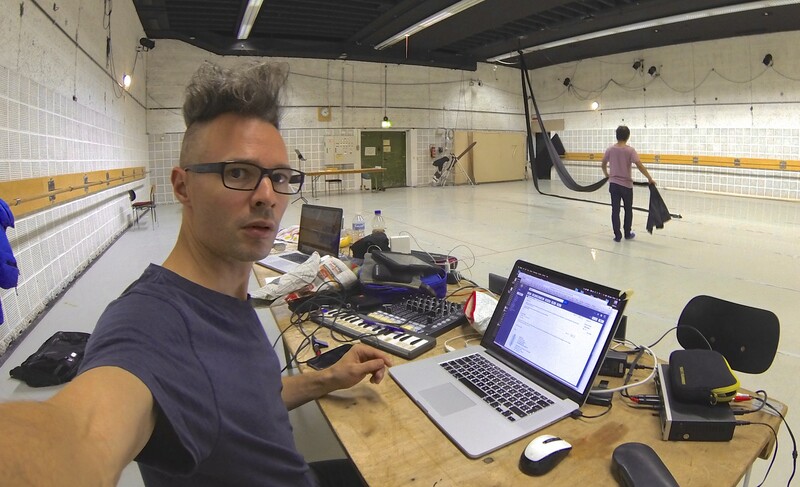 We are currently at Staatstheater Darmstadt in Germany for two weeks now, getting to know the material, researching sounds, and creating prelimenary sonic design and music sketches. At the moment we are working with sounds originating inside the body. What happens sonically inside our bodies at the different levels of conscience? How can we find them, how can we reveal them, how can we use them? There will be a public work-in-progress performance, where we present our results, on October 10th, at 19:30, at the ballettstudio in the theatre.